I love the thrill of the hunt…and the excitement when you spot the thing you didn’t even know you needed. There have been times when my Hero needed a bit of convincing and coaxing to see my vision, however once these treasures come home even he admits they are the perfect decorating touch. Let’s see if you agree! Let me show off a little with my most recent finds. 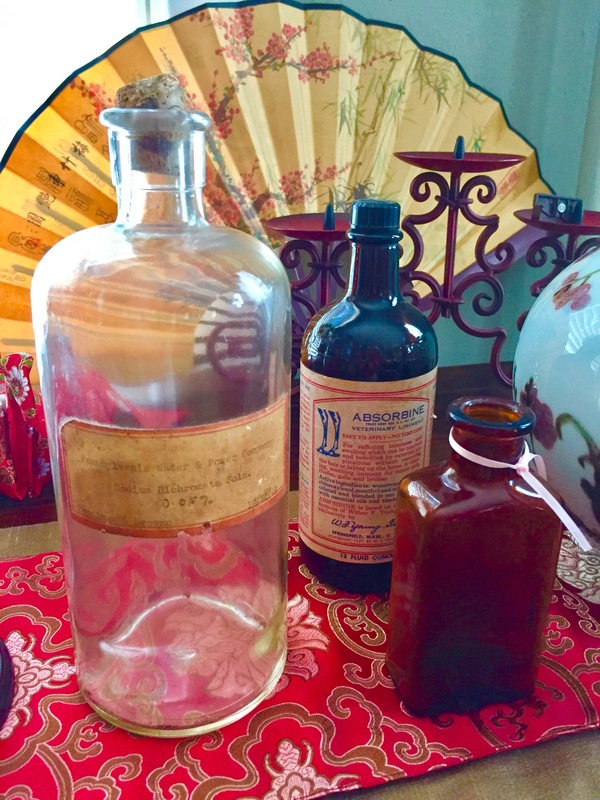 Antique Apothecary bottles with original labels add interest to my sideboard. Who could resist this adorable mid century advertising sign? Still have not found the perfect spot, but it does put me in the mood for a little toast and jam! My love of baking often influences my purchases…English tea biscuits anyone? How about this 9 foot tall drink of water? I could not resist his charm! For now, he will live in the basement. Hopefully he will have his time in the sun one of these days! 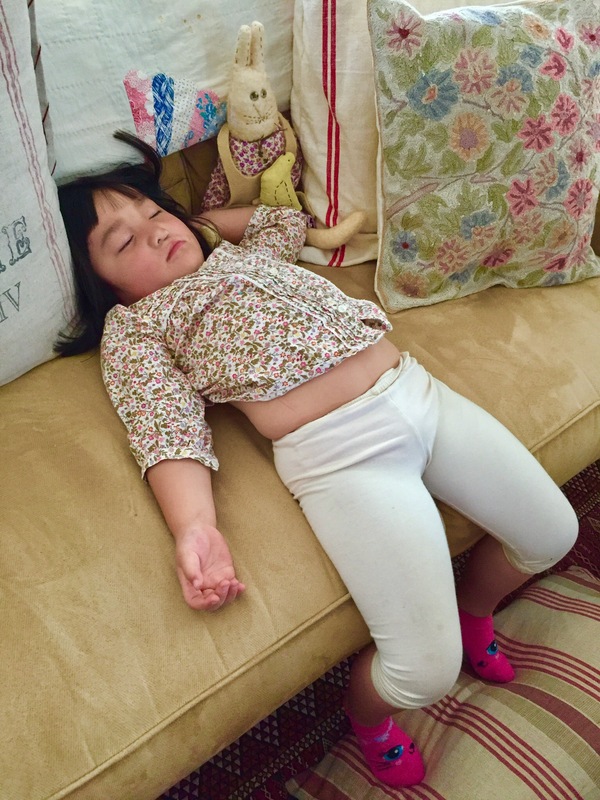 Look what else I found not so long ago…a very tired little Princess after one too many egg hunts! Wonderful thrifty finds, I do love a good treasure hunt too. Me too..,although our brand of choice was wonder bread. I don’t think I have ever bought a loaf since I left home. I also can’t believe we complained about my mom’s homemade bread. 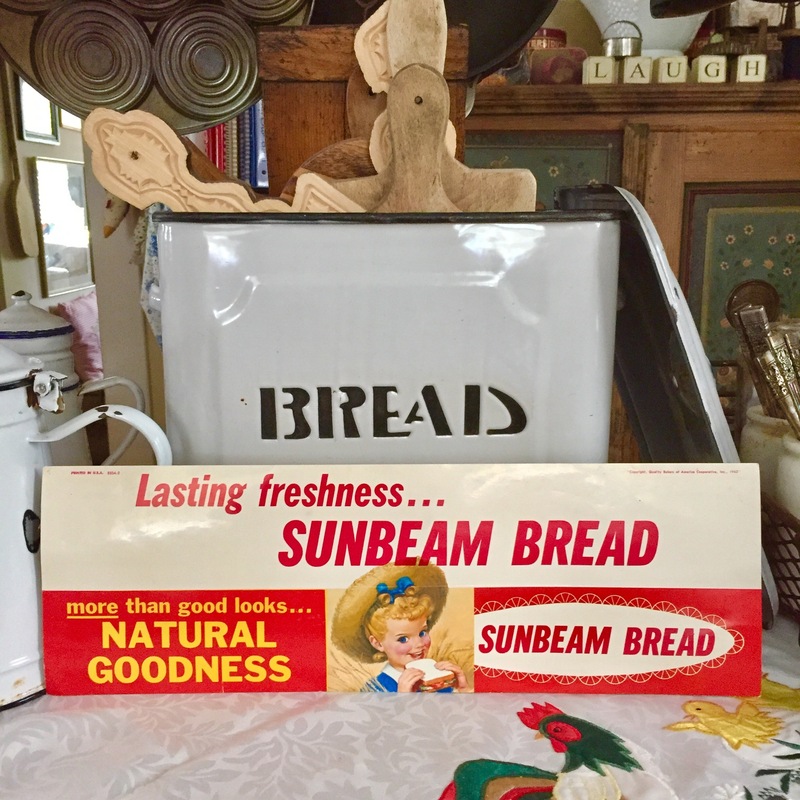 Please tell me where you found the sunbeam bread sign. I love it. It was on the bottom in a local antique store in Annapolis. I have watched a few on eBay but the prices have kept me away. This pristine sign was meant to be. I am thinking about framing it in yellow. Love that tall apothecary bottle and the biscuit mold! Good finds! These are all great finds! I love the old bottles and the baking tin! Ah, I felt much the same as Princess after our Easter celebrations were finished 🙂 Pinning to share. She plays hard and naps hard! Thanks! Oh nice finds. I love those apothecary bottles and the tired little Princess. She’s getting so big. She plays hard, she sleeps hard. I just love to find old bottles, especially with original tops and labels. You have some terrific finds posted. The English biscuit tin is a fantastic find. Baking tins are a person addiction and this one is gorgeous. A sleeping princess! 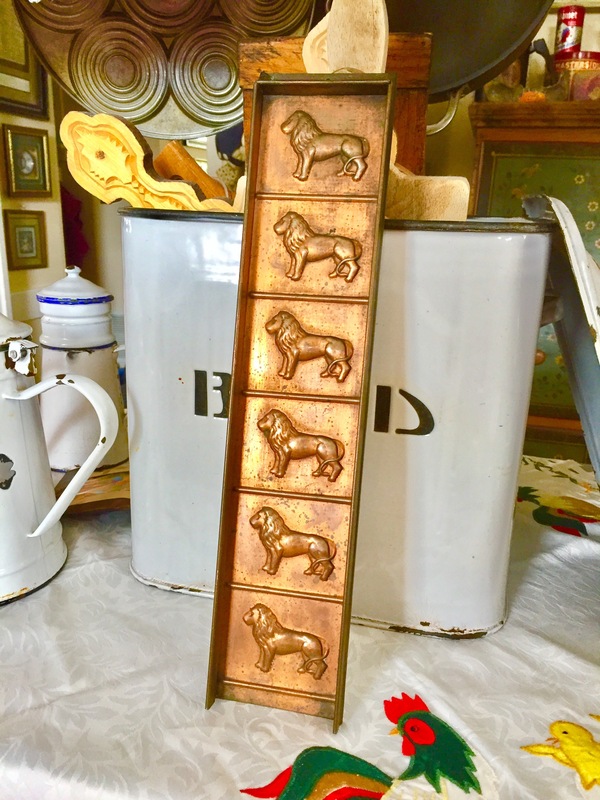 Love the bottles and the biscuit tins… fun finds! Happy Monday! Very happy finds. Our Princess is still our greatest treasure. I have plans but it may take some time…and Renovation to put it into play. 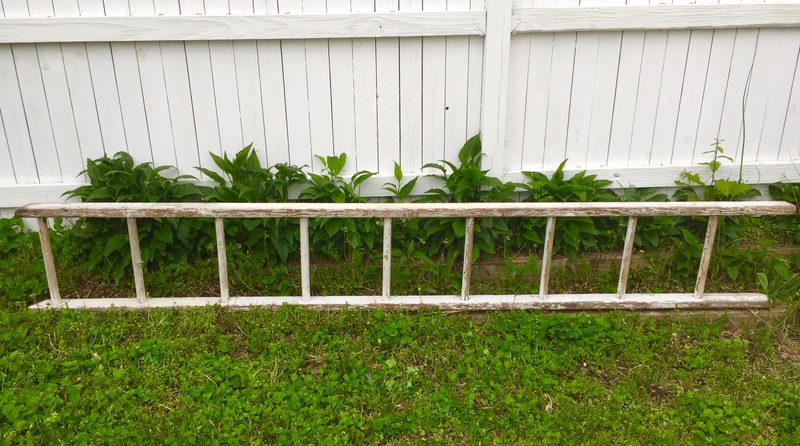 I have wanted a ladder forever and suddenly there it was! Precious princess. Thanks for sharing at Monday Social. I love the old advertising sign. Wonderful. Great finds. I especially love the Sunbeam sign. Like the Princess, I needed a little nap too after all the Easter festivities. 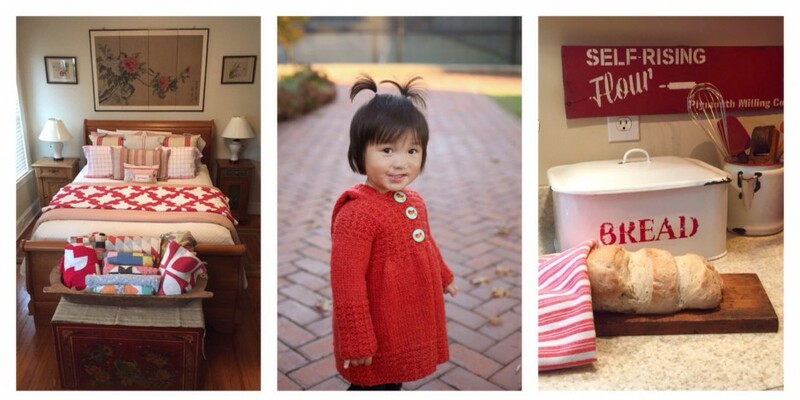 Thank you for sharing all your wonderful vintage finds at the Snickerdoodle Create~Bake~Make link party!